Have you ever received a picture message on your iPhone and you wanted to share that photo with someone else? There are a few different ways to forward photo messages from an iPhone, we’ll show you the easiest and quickest method to pass along a picture message from your iPhone Messages app to send along to another contact. 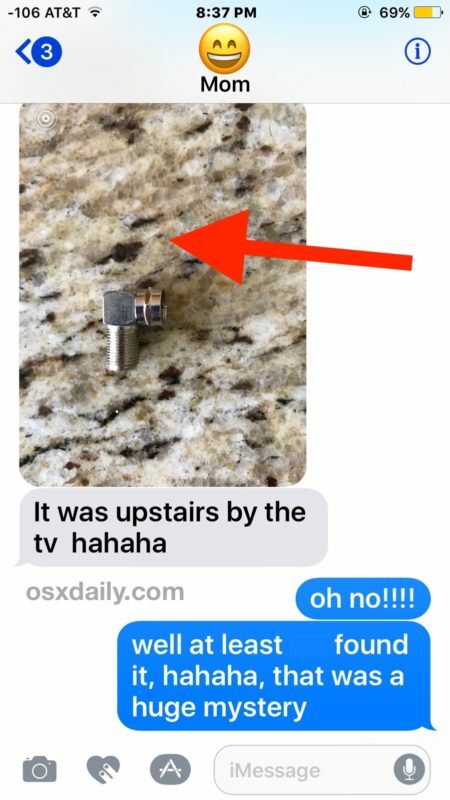 Forwarding photos messages from the Message app is pretty similar to forwarding a picture or forwarding email from an iPhone to another contact, except it’s a little less obvious to access to forwarding functionality in iOS. Not to worry, once you learn how to forward pictures in Messages it’s quite simple. You can forward any photo, picture, gifs, video, or movie with this method. 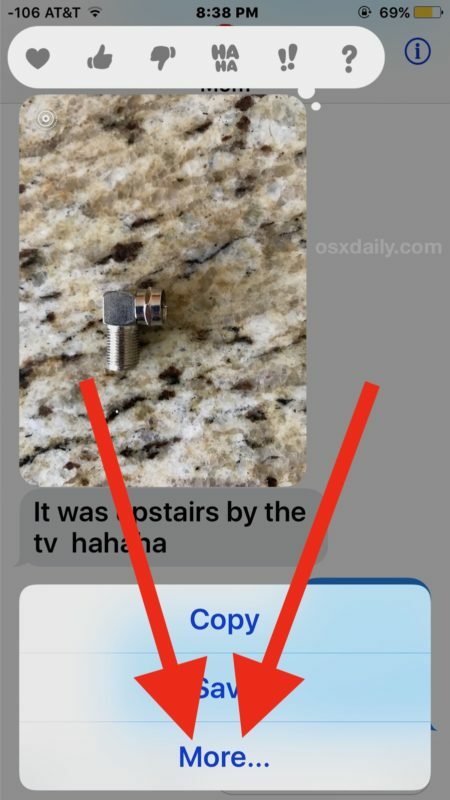 You can also forward regular text messages this way but all it does is copy and paste the message text into a new message, rather than passing along any data from the original sender. 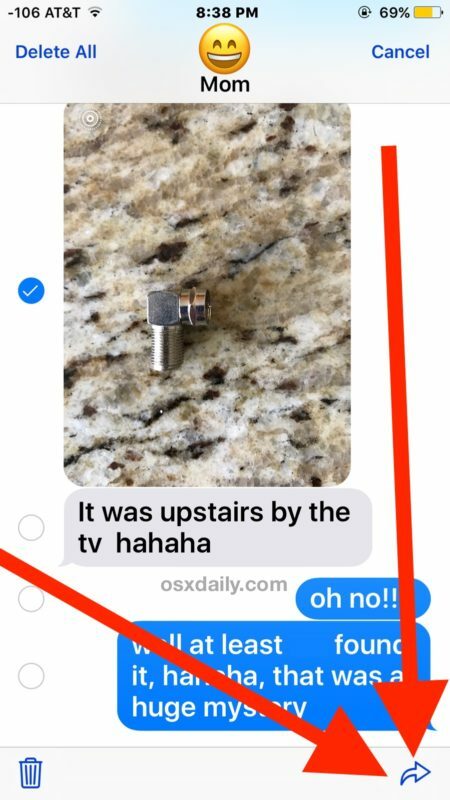 Regular readers may notice you also use a similar approach to delete a picture from a Message in iOS too. Keep in mind the photo being forwarded will send along by itself without any explanation, text, or without any notice about who originally took the picture. Thus if you want to explain that the photo came from elsewhere or was taken by another person, that’s up to you when you are forwarding the picture message to include a little note about the photo. Other approaches to forwarding pictures include saving the picture and creating a new message with it manually, or using copy and paste as well. 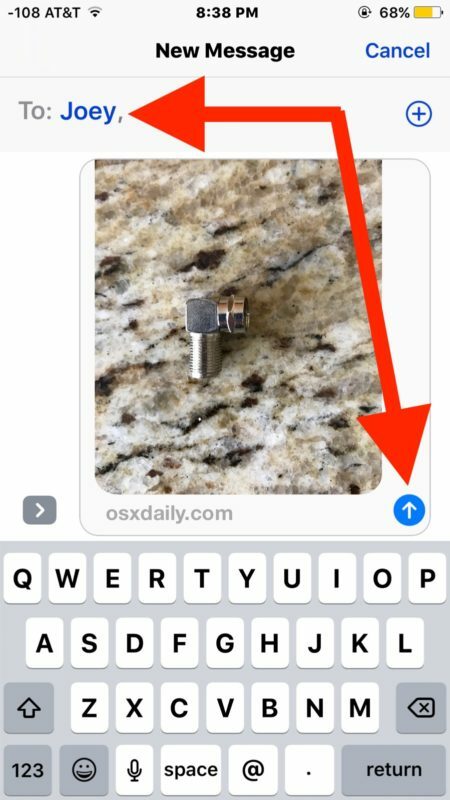 Ultimately the steps outlined above using the forward button are the least complex however, thus it’s really the best way to forward photos from imessage on an iPhone or iPad. Rarely you may encounter an issue or a red (!) badge when attempting to forward or send a picture message, if you do experience that you can use this guide to fix iPhone not sending picture messages. You can also forward a message with words to someone with this trick. I use this to forward pics. But if I like a pic a lot o will save it to photos album then send it from my iPhone. 3 the blue color does sometimes change in A green one But then it is A costly mms! Yes but if I want to just forward a whole message with multiple photos contained in that message, how to do that?